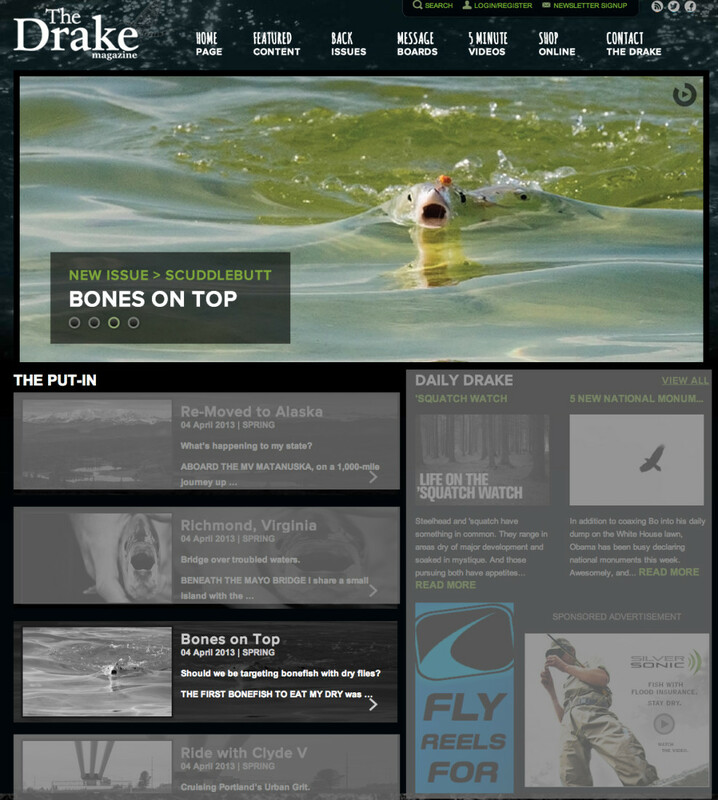 I’m very excited to see one of my images on the new Spring 2013 cover of the The Drake Magazine!! It’s been a great publication for many years, one that I eagerly look forward too as both a fisherman and photographer. For me its a humbling honor for any of my images to make into print ,and making the cover has always been a lifetime goal of mine. This image below is of good friend ,and phenomenal angler, Millie Jo Paini fishing her beloved Henry’s Fork river. It was a great hatch that day and both Mille and husband Rich were out doing what they both love to do, “play the game ” (dry fly fishing) on the famous Railroad ranch section. There are a few other goodies inside from BGP, including a little somethin’ somethin’ by friends Johnny Pares and Rita Rose Adams on dry fly bonefish from a recent trip to Casa and Playa Blanca in the Yucatan. The shot was very challenging for many reasons. It didn’t come easy and we spend days trying to get it. After dozens of hook-ups and we finally managed to get a few that really show the fully open mouth of a Bonefish trying to eat from the surface. It was one of the most amazing fly fishing experiences I’ve seen. I know I won’t look at bonefish the same way ever again. Rounding out the issue is buddy Tom Watkins over at the good ol’ TroutHunter freezing on the pages in the spectrum section. Nothing like a brisk mid-winters day of fishing on the Henry’s Fork. Huge thanks all the anglers for doing what you do and letting me document it with my camera, without you these images and adventures would never happen. This issue is action packed, lots of solid content from some of the most talented writers and photographers in the industry. 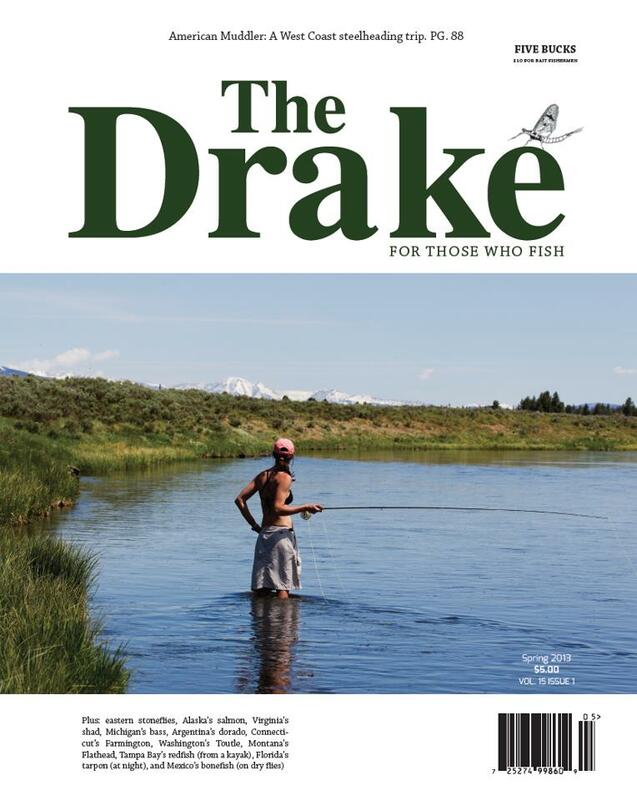 So head down to your local fly shop and grab a copy today, or better yet, get a subscription!.. hell, snag a shirt too. This year I sat down with TroutHunter Products to find distinctive imagery for their upcoming 2012 trade show booth. We selected a fitting image which would not only be pleasing to the eyes of potential passing customers but an image that captures the unique lifeblood of the company. Its important to know and understand what your clients company branding style is so that you can deliver exceptional exclusive imagery. 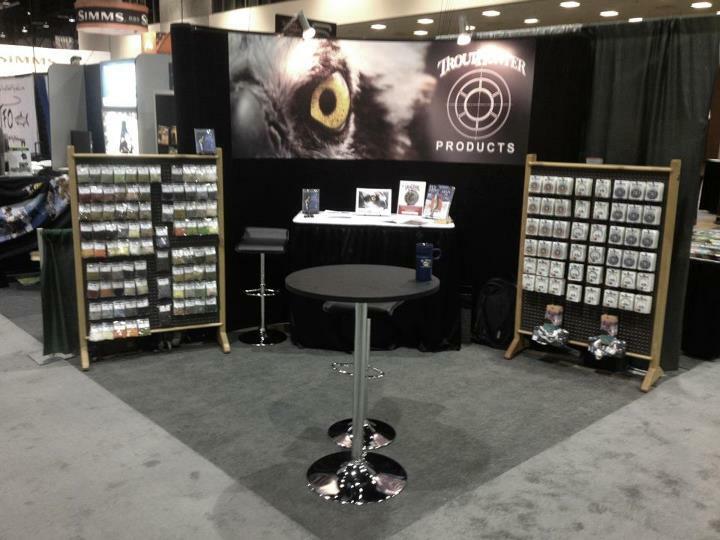 If you haven’t heard the news yet, TroutHunter products is making superior tippet and leaders these days. So, if your like most anglers out there and your contemplating what the strongest fluorocarbon on the market today might be, I urge you to investigate, or better yet, order a spool and try it for yourself…you will not be disappointed.